Seeing as I’m not going to be receiving my superpower anytime soon, I’ll turn my attention to this little pot of marvel (gettit? Marvel? Oh nevermind) instead. 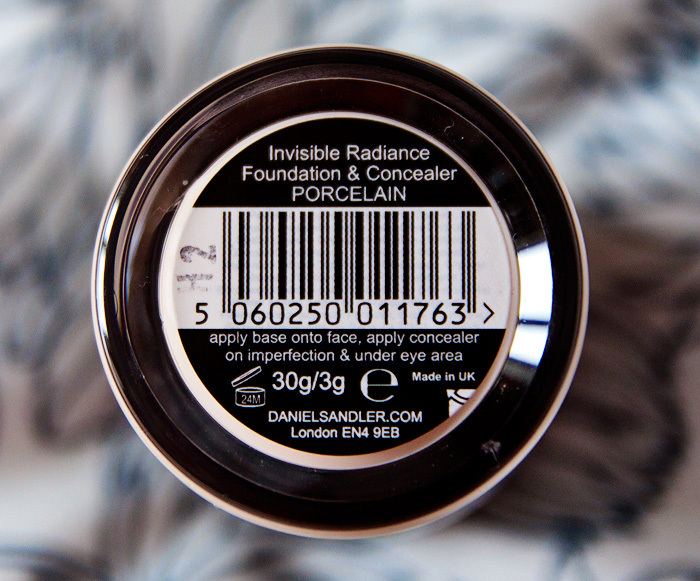 Daniel Sandler’s Invisible Radiance Foundation and Concealer* is, like many superheroes, part of a duo crime-fighting team, fighting the evil that is, a rubbish complexion. 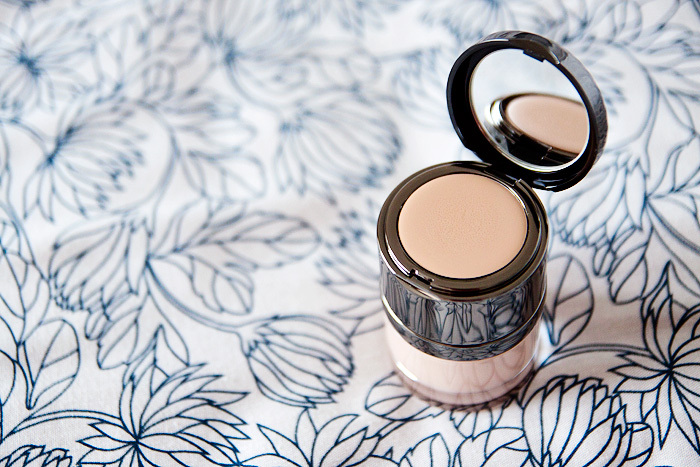 The duo consists of 30g of foundation and 3g of concealer, housed neatly in the lid. 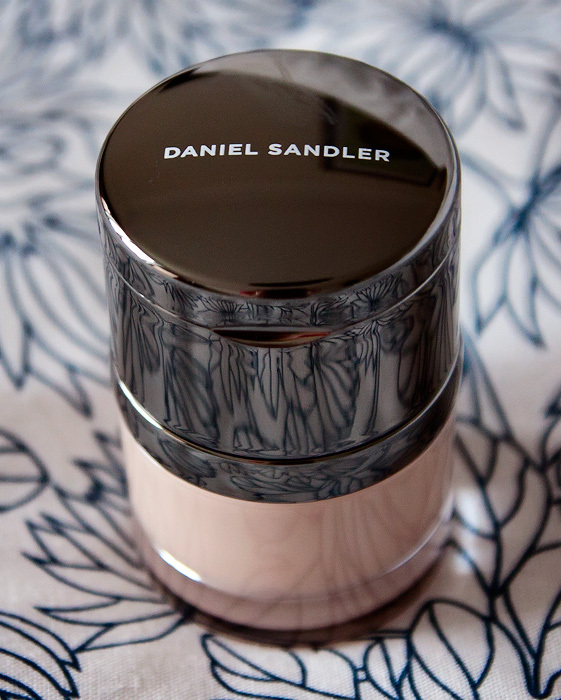 Starting with the foundation, an incredibly light formula which moves around fluidly on the skin. It’s thinly-textured and remains tacky to the touch for a good 15 minutes or so after application. The colour match on my skintone for Porcelain (the lightest of four shades) is near-enough spot on, but the coverage is very sheer so I would imagine that the next shade up wouldn’t be too horrendous a mis-match once blended. Talking of the coverage, I’d liken it to that of a tinted moisturiser but with more “set” once it does eventually dry down. 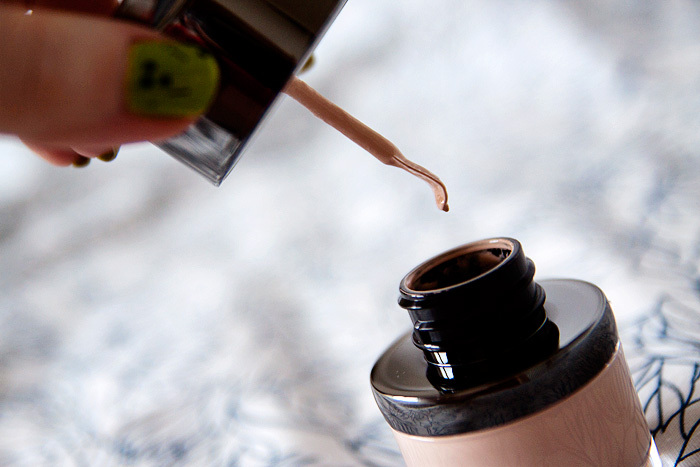 The concealer is neatly hidden under the flip-top lid of the bottle… cute it is, gimmicky it certainly isn’t. The dual-packaging works extremely well and makes for perfect portability. Having said that, I’m not a fan of the spoony-spatula inside the bottle, it doesn’t retrieve enough product and I managed to ping the flexible end, splattering foundation on myself. I know… I should probably be more careful but I was dip-dipping to get more product and getting impatient! With the Invisible Radiance Foundation and Concealer, I apply my foundation first… with a dampened brush (as Daniel suggests) before applying a second layer of foundation across my cheeks and nose. Before this has set, I use the same foundation brush (I favour the paintbrush style with this foundation) to apply my concealer. 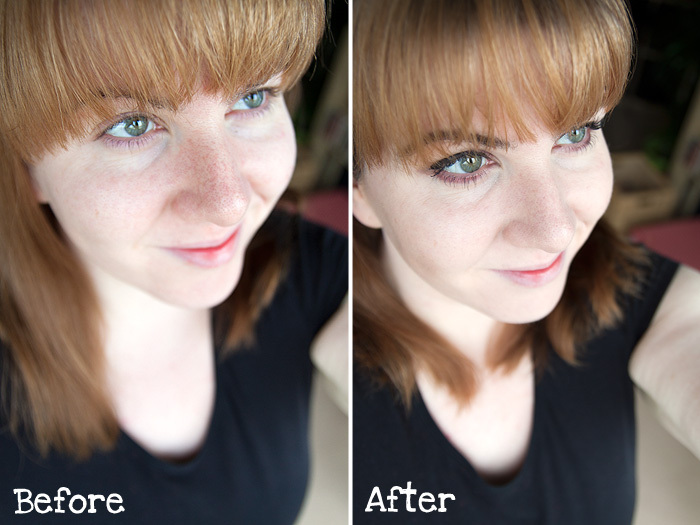 I won’t call the finished effect “airbrushed” but it does look naturally-improved rather than foundation-improved and the radiant effect definitely makes my skin look healthier, which is something I’ve never really expected from a foundation. Overall, I’d say that this duo is perfect for more mature skin, particularly if you’re looking for lighter coverage. It’s ideal for day-wear but will probably be a little too dewy for me in the heat of the Summer (chance would be a fine thing), although nothing that a dusting of powder over my t-zone won’t resolve. Longevity is average, good for such a dewy-finish, I’d estimate that I was very happy with how this concealed for around 8 hours. If you’re sick of seeing your foundation sitting in dilated pores, gathering around fine lines, or giving already dull skin a death-mask appearance – this is one for the shopping list. My only caveat is whether coverage will be full enough for you, in which case, this product does respond well to a dusting of mineral foundation and you won’t lose too much of the luminosity aslong as you use one with light-reflecting particles. ** Kleptomania is bad. Also, don’t do drugs. Thank you for this review! I’ve been looking at this for ages, but there haven’t really been any good reviews from properly pale people to find. It looks gorgeous on you, and like a very good colour. Can you say if it has any yellow in it? It doesn’t look that way, but it is always my fear with pale foundations. Also, do you find the staying power of the concealer any good? Do you think it would stand up to concealing blemishes or weird red spots, and stay put? Thank again – I’ve been hoping you would do this one! Oh this is a very good idea. A very good idea. I like the idea of a matching concealer just sat there. I’ve been interested in this foundation for a while, I think that I should finally put my pro discount to good use and get thia and a few of the Watercolour blushers. But does it really only come in 4 shades? If so, that’s shocking! By the way, it looks great on you. That looks like amazing foundation!